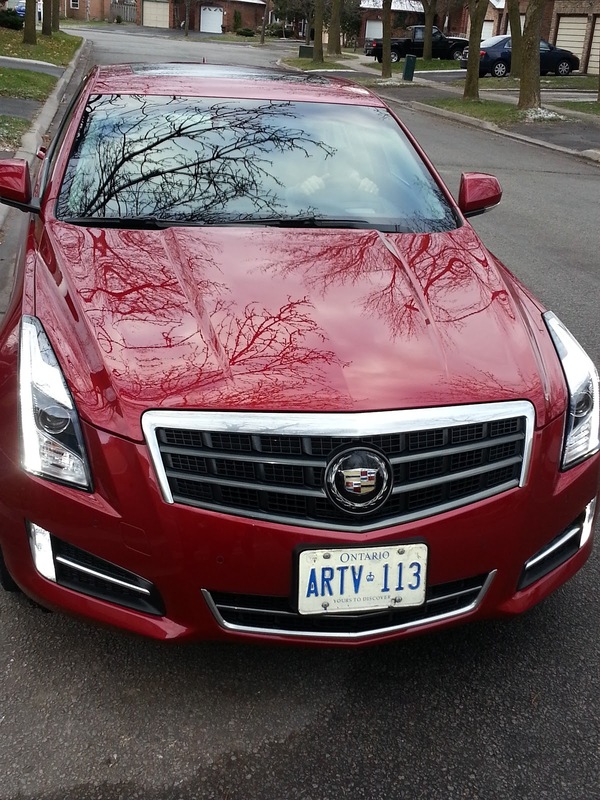 The﻿ phone rang and it was Cadillac on the other end, telling me that they'd be right over with my Cadillac ATS! 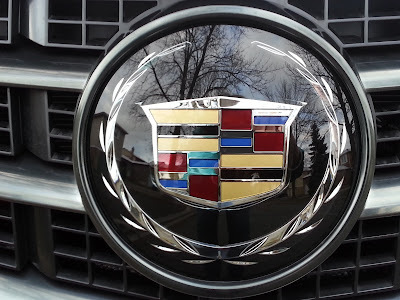 Was it okay if they ran the Caddy through the carwash, they'd be over in just 15 minutes? Love! I'm in love with Customer Service gestures like that. Thanks to Cadillac and Klout, I enjoyed an extended 3-day test drive of the Cadillac ATS. They brought me over the sporty red one, which made me smile. I wish we could have had more time together, Caddy and I. The "Caddy That Zigs" was all about cool features and options, such as an awesome driver's control panel. 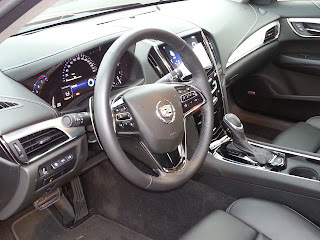 The all-leather interior was definitely a luxurious option, but I'm all about the little features such as haptic touch controls, side mirror blindspot alert and an integrated touchscreen for radio, mp3, temperature control, etc. I found the acceleration quick and smooth, which is exactly what you'd expect for this pricepoint. 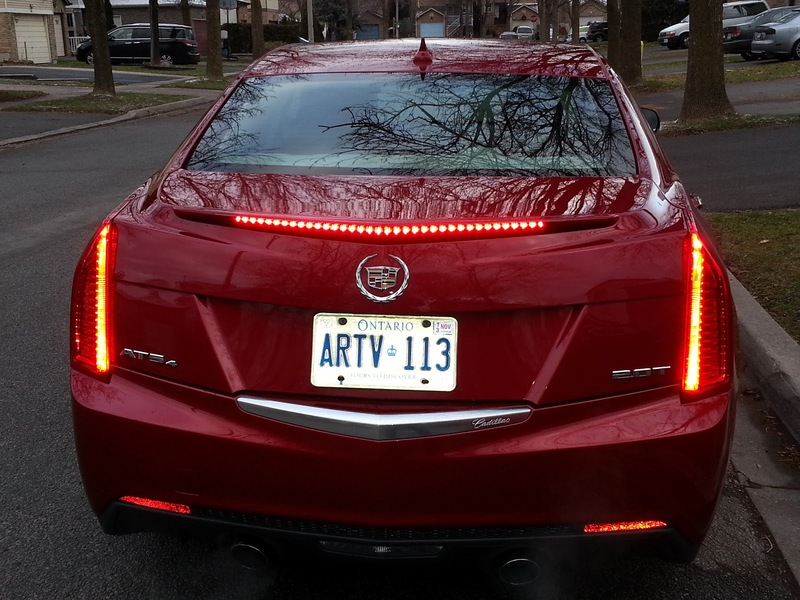 My Favourite Feature: The "Hologram"
Here is a photo of one of the Caddy ATS's coolest features, in my estimations. 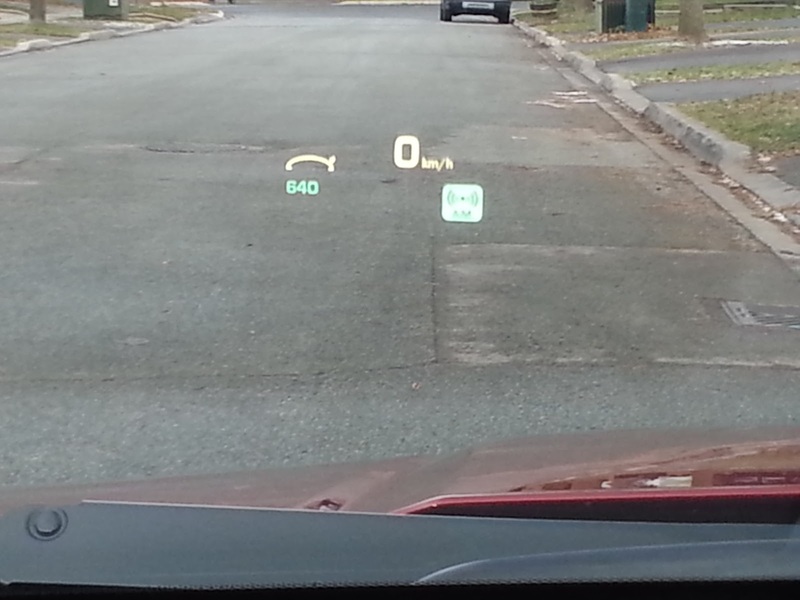 It is a "hologram" that is only visible to the driver. 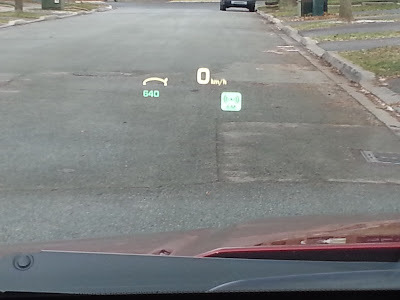 The car's speed, as well as other features, seem to float on the road ahead of you (this feature can also be turned off). 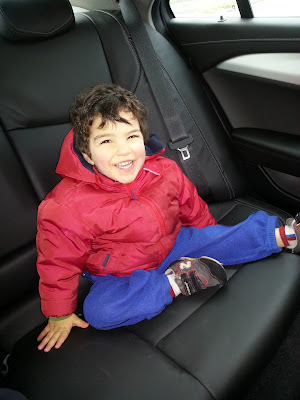 Okay Cadillac, I admit that I let the kids in the car! They're pretty short, so their shoes were all over the leather, but it wiped down all clean. No one ever said that I can't have a set of hot wheels, to drive around the kids! This mama was crusin' in style! Looks very nice and so many great features! My first vehicle had the hologram in the driver's window and I LOVED it...actually a feature I miss now. Glad you had a great time testing it out! Awesome, that you got to test it out. I've never even sat in a caddy! 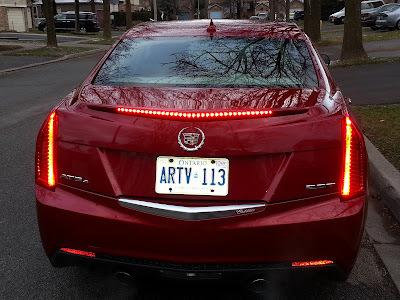 not sure why my comment didn't stick before, I love those lights on the back end, looks sweet! what a grand looking car! Such a cool promotion. I didnt get this one through klout. Now thats a car !